Walk aisle after aisle of seasonal produce as well as fresh fruits and vegetables at the Tomball Farmers Market. 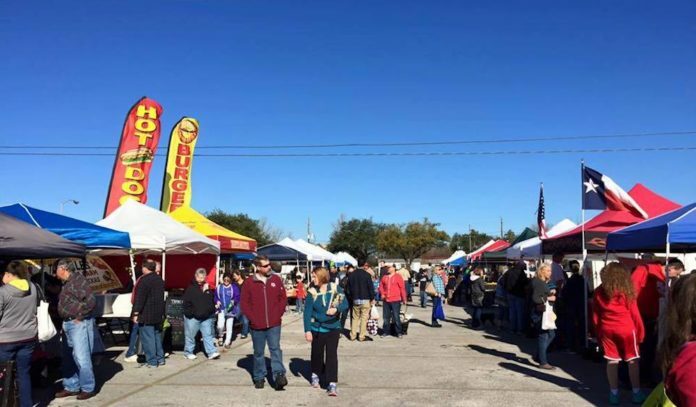 Located on the corner of Main Street (FM 2920) and Walnut Street in Downtown Tomball, this farmer-owned and operated market takes place every Saturday throughout the year, rain or shine. Opened in 2008 by two young mothers looking to promote the local/organic food movement, today visitors can shop for foods, goods, and services from more than 60 vendors dedicated to providing the highest quality food and handmade products to their community. Stop by any Saturday of the month from 9am to 1pm for a community experience grown by local food producers in a festive, fun atmosphere. Dates: Every Saturday throughout the year.